Sheep and lambs are a natural fit on our farm. 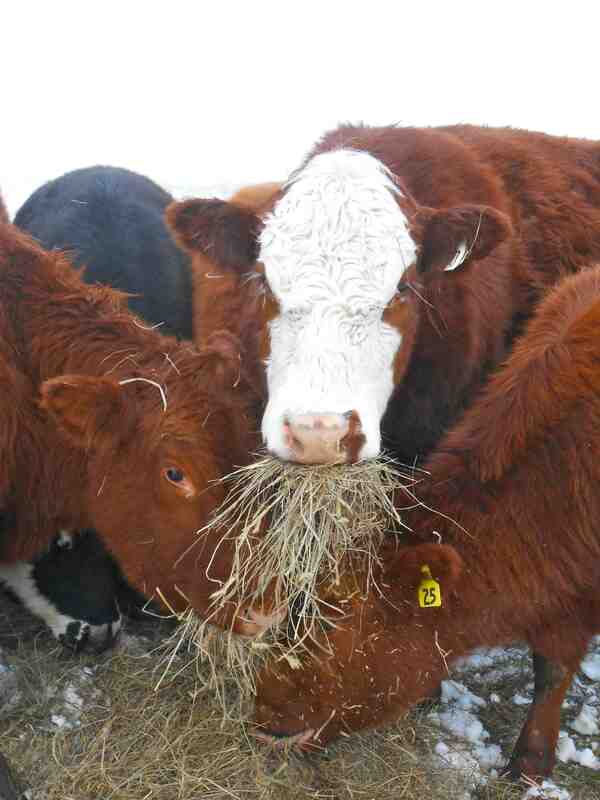 We rotate our sheep and cattle daily to fresh ground, ensuring a consistent graze for our pastures. While the cattle primarily enjoy grazing grasses and clover, our sheep are both grazers and ‘browsers’; this means that they like to eat vegetation that is sometimes considered a ‘weed’. Here at Smith Meadows, we have another word for these so-called weeds: we call them ‘forbs’. Forbs are often wildflowers, such as chickory or queen anne’s lace, wild rose, or vines such as honey suckle. 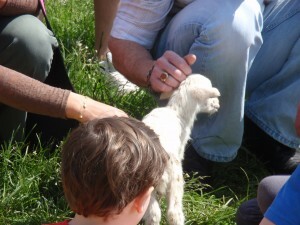 Packed with nutrition and protein, our lambs flourish on this wild, natural, abundant vegetation. While the cattle contentedly pass these by, our sheep and lambs gobble them like candy, making the entire landscape of our farm a veritable buffet for our wandering herds. 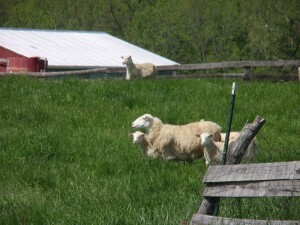 We raise Katahdin sheep on our farm. This breed is regarded as a ‘hair sheep’; instead of producing a spinning/knitting wool, they grow a heavy coat each fall, and shed it off themselves in the spring. 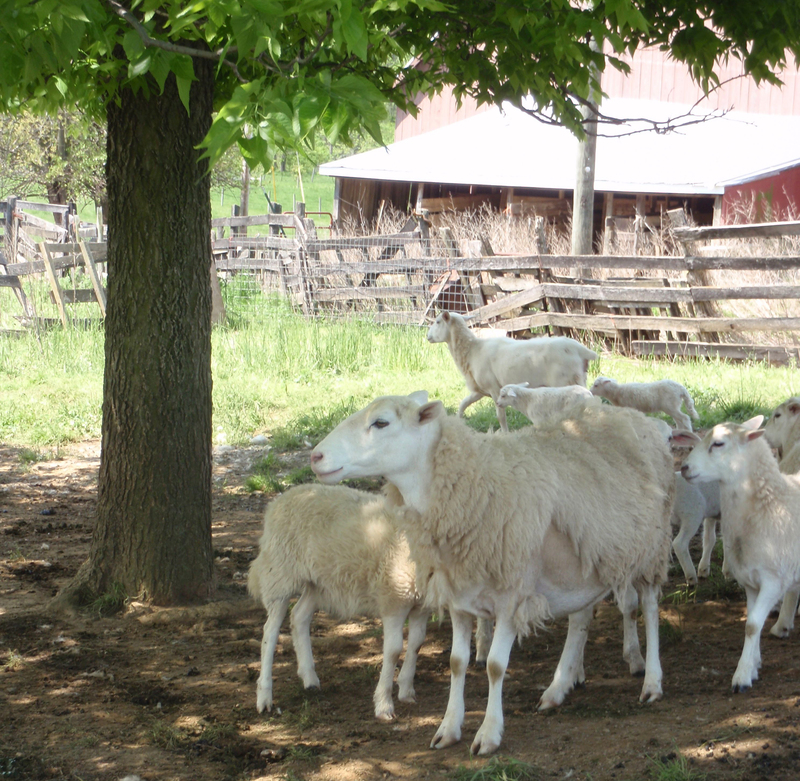 Each April, you can see sheep all over our farm dragging their coats behind them, in effect shearing themselves in advance of hot summer days. By the time June rolls around, they are sleek and white, and ready for the long summer days. 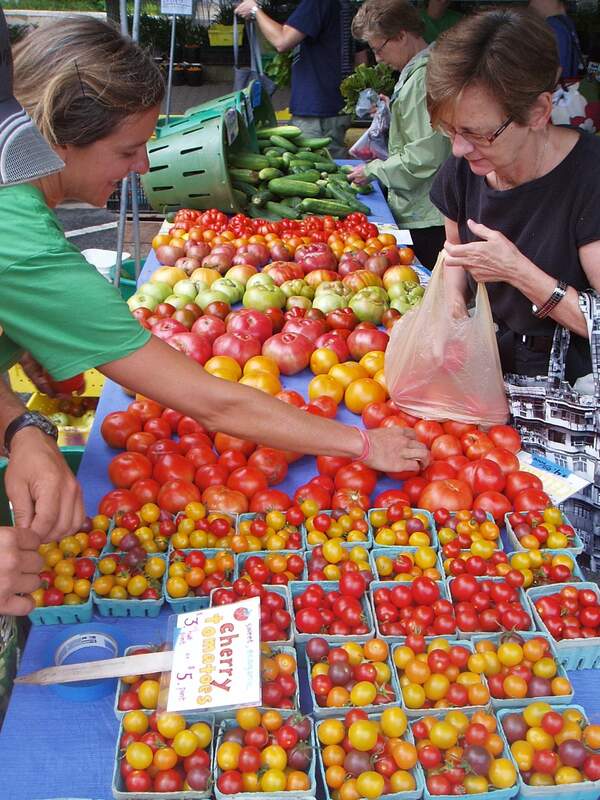 Lambs are born in the spring, and usually end up at farmers market starting in late August. Availability continues into late winter. The Katadhdin breed produces a meaty, low fat lamb that our customers frequently tell us is among the best they’ve ever tasted.